Lands minister Betty Amongi. Courtesy photo. Government has set up a special desk in the Ministry of Lands to verify transactions for Ugandans living in the Diaspora. Lands minister Betty Amongi has said a lands management system adopted by her ministry for the purpose is designed to help to curb fraud. 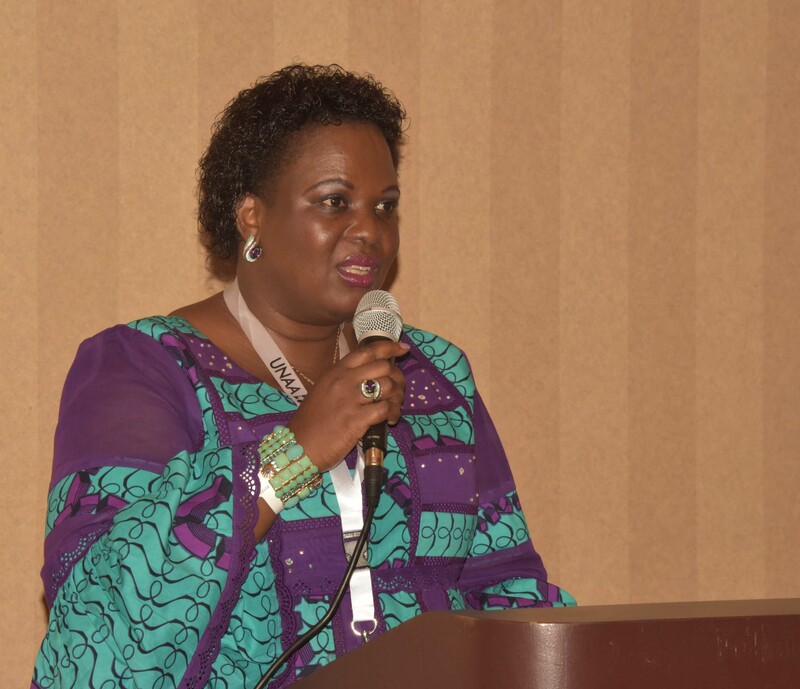 While speaking at the land and housing forum being hosted by the Ugandan North American Association (UNAA) convention on September 2 in Miami Florida, Amongi explained that Ugandans living in the Diaspora have issues relating to purchase of genuine land. During the forum, Dorcas Okalany, the ministry’s permanent secretary, revealed that in a country where only 18 percent of land owners have registered title or certificate, and with most land holders not having documentary evidence of their property rights, the integrated lands management system is a key component. “The land information system is meant to digitise land that has been titled. This helps in minimising fraudulent land deals. The process of digitising all land in Uganda will go on until 2019,” Okalany noted. She also revealed that a systematic land demarcation system where land can be owned communally or through clans is in place now. Okalany said that land around the country is going to be separated into regions referred to as zones.